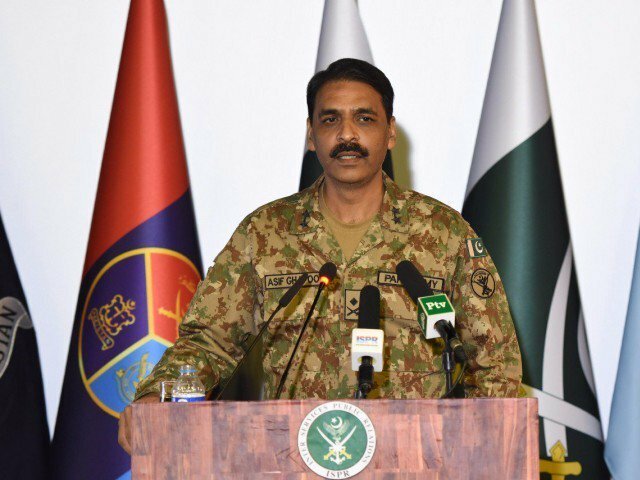 Chief of Pakistan Army’s media wing Major General Asif Ghafoor has said that the demands of the Pashtun community are genuine and the state is committed to addressing them. He, however, warned that instigating people against state institutions is against the law. “Once we have fulfilled the genuine demands that are already in the overall plan, we will see how to deal with anyone who still tries to exploit [the situation],” he added. The ISPR DG said that Pakistan’s enemies are exploiting the movement. Maj Gen Ghafoor also asked India not to use proxies against Pakistan, adding that an unstable Pakistan is not in India’s interest. Responding to a question about an extension in military courts first set up by the parliament in 2015, and decried for their lack of transparency, he said they were a “national requirement” because the country’s civilian judicial infrastructure was ill-equipped to deal with terrorism cases. He said verdicts could be appealed at several levels, including in military appellate and civilian courts, and those on death row had the right to file mercy petitions with the army chief and the president of Pakistan. Taliban sources have told media the Doha talks have focused on a roadmap for the withdrawal of foreign forces from Afghanistan and a guarantee the country will not be used for hostile acts against the United States and its allies. The Taliban have so far refused direct talks with the Kabul government, which it views as an illegitimate, foreign-appointed force. Ghafoor said there was as yet no certainty on whether the insurgents could be persuaded to engage with the Afghan government but added that progress from the meetings would determine all outcomes. He also spoke about abiding fears about how Afghan government forces would withstand the Taliban threat without US military support if US President Donald Trump acted on his desire to bring home half of the 14,000 US troops deployed in Afghanistan. He dismissed fears that the US would lose interest in Pakistan once it exited Afghanistan, or be free to take harsh actions when it no longer needed Islamabad’s help to end the conflict.